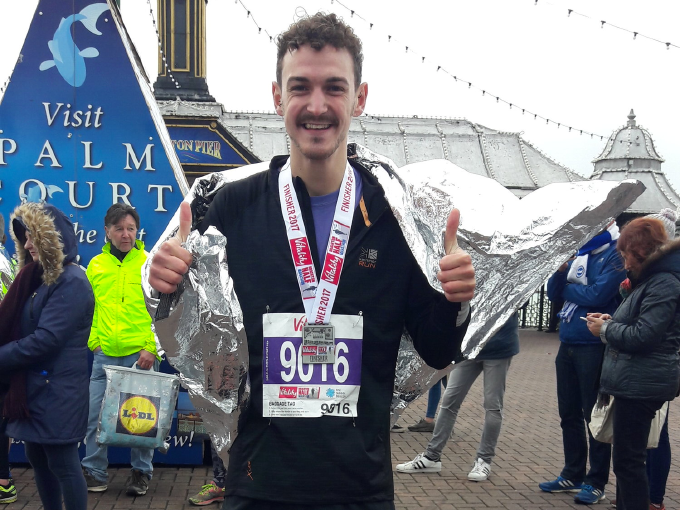 Matt, our Mentoring Project Manager ran his first ever Vitality Brighton Half Marathon last week to raise money for Hope for the Young! Our team of volunteers walked 13 miles (half marathon) along the Dollis Valley Greenwalk on Saturday 25 October 2014 to raise over £23,950 for our new Volunteer Support Project for vulnerable young refugees. The project provides mentors for young people in education struggling to settle into the UK.